With handstick vacuum cleaners costing as much as $1,000, you’d hope they’ll last you a while! But like any vacuum, they are prone to problems. But before you throw your vacuum on the scrapheap and buy a new one, there are ways to help increase the longevity of your beloved cleaning machine, so you can still get your money’s worth! 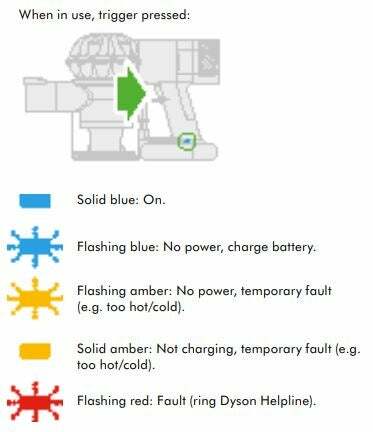 Canstar Blue brings you a guide on what parts to replace and clean if your current Dyson vacuum is a little rundown and not up to scratch. Why is my Dyson vacuum not working properly? While this guide will specifically look at a Dyson stick vacuum, LG and Samsung models can have similar problems & solutions. The Dyson vacuum itself can provide a diagnostic by observing the light indicator (pictured below). Check your manual – which can also be found online if you’ve misplaced yours – or call the Dyson Customer Care helpline to assist. 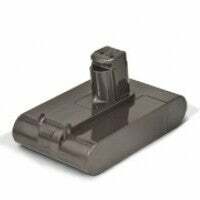 If you’re charging your vacuum for the recommended amount of time but it only runs for a minute, this doesn’t mean the whole vacuum is a flop – it might just need a new battery. According to reports, Dyson handstick batteries have a life span of just three years on average. 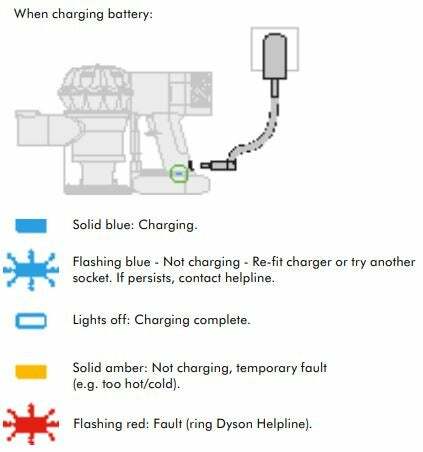 Battery replacements cost $76 via the Dyson website, saving you $923 by not running out to buy the new Dyson V10 ($999 RRP). If the motor is faulty, the vacuum will appear to be dead. A faulty motor is often caused by another issue such as blocked filters – which can also be the cause of unpleasant smells. You can replace a Dyson filter for $15 (RRP), but if it’s fairly new, a quick wash might also do the trick. It’s important you use a dry cloth two clean the appliance – don’t use any lubricants, cleaning agents, polishes or air fresheners. Brush bars should be cleaned regularly to clear away any debris, including hair. Instead of buying a new vacuum cleaner to replace an expensive one that has stopped working, or even buying a cheap vacuum that might have to be replaced in a year’s time anyway, you can try ways to fix your vacuum instead. 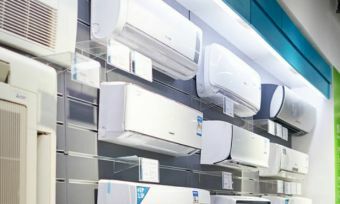 If you invest in a quality appliance, it’s likely to have parts which you can replace. One major advantage of this new era of stick vacuums is that these appliances can often be fixed rather than replaced. Not only could fixing your vacuum save you hundreds of dollars, but it may also just give you the satisfaction of not being a sucker for the latest products available. While you might not be able to fix every problem, there are a few things you can do to a vacuum that might just revive it for another year. Dyson directs you to the Spare Parts page to shop for anything you need replacing. It will require you to enter either your machine’s model number or the first three digits of the serial number. You could also contact the Dyson Customer Care centre, or the retailer from which you bought your vacuum, for further guidance.